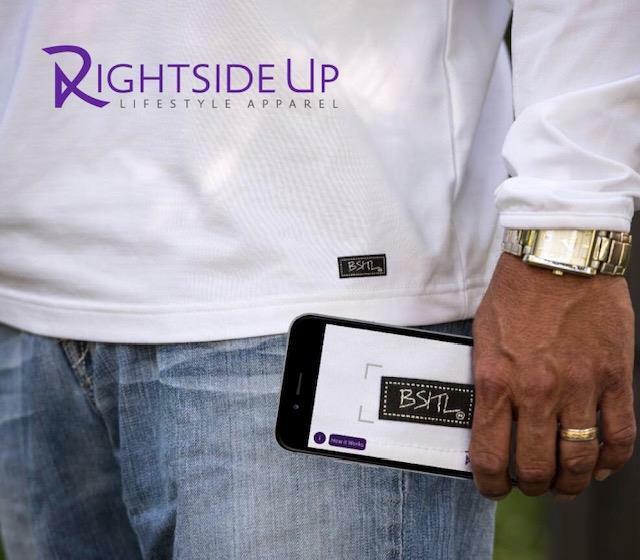 (MENAFN - PRLog) They Have Developed An A Unique Way To Deliver A Positive Message Using Augmented Reality Using the Rightside Up Apparel App MINNEAPOLIS - Jan. 21, 2019 - PRLog -- At a time when people could use more positivity in their lives, Rightside Up Apparel has a unique way to deliver it. Using augmented reality, they have developed an app for the consumer to use with all Rightside Up Apparel clothing. It enables the user to access a positive video message on their cell phone. Using their permanently attached "BSITL" clothing tag is what makes this so unique. It's easy for everyone to use. Just scan the tag. Use it anytime, anywhere and no extra equipment is required. Mother and son team Nancy and Shawn Bergstrand are seeking to add more positivity in the world with the Rightside Up Apparel App. The idea for the app came from Rightside Up Managing Director, Nancy, 71 years old. "Shawn asked me how we could make our brand more engaging," recalls Nancy. "I suggested we bring the BSITL tag to life. Let's give it a voice with a positive message." Then came 8 months of research, and today all Rightside Up Apparel can deliver a positive video message using the interactive BSITL touchpoint tag. It's a positive use experience that engages the user and encourages ongoing user interactivity. Simply download their Rightside Up Apparel App to a cell phone and then scan their BSITL tag found on every piece of their clothing. A 20-30 second video appears on the phone screen with a positive message for the user, and the message can change often. Started in 2017, Rightside Up Apparel is an on-line clothing company. The founder and CEO, Shawn Bergstrand, chose quality clothing as the vehicle to convey a positive lifestyle message. There are no elaborate graphics or long messages. There is just the distinctive Rightside Up "R" and the company name that serve as a reminder to make positive choices in life and live life the best that we can, Rightside Up. The letters BSITL are incorporated into the brand. Every piece of clothing has a BSITL touchpoint tag permanently attached. It is as acronym for "Be Strong In The Lord". It is this touchpoint tag that is now the marker for the Rightside Up Apparel App. At a time when lives could use more positivity, Rightside Up Apparel has a unique way to deliver it. Their apparel has a voice with a message worth listening to.